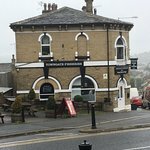 15/04/2019: Ideally situated close to Peasholm Park, this superior Scarborough chippie serves very good - if fairly expensive - fish and chips. 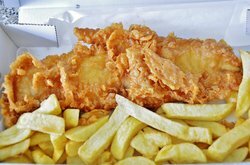 The fish is always cooked well and is of a particular fine quality, though the chip portions can be a bit paltry by southern standards. No matter how busy, consistency of product is still the by-word of this operation, and it is worth a visit. 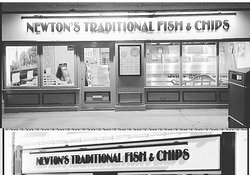 13/04/2019: This place has always been great, the best in Scarborough by a Yorkshire Terrier..
19/04/2019: Purchased Fish and Chips for two, to take away in April this year - 2019. 13/04/2019: Very nice place for fish and chip super/lunch. Nice staff and good variety of options to eat. Well priced. Hard to think of a negative. 13/04/2019: Highly recommended, whether you want a take away or sit down meal. 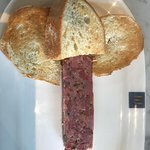 great food at the rite price. Plus free parking. Couldn't be better. 12/04/2019: Love this place. With 2 youngsters, we generally get the take away when visiting family in Whitby as the kids love the novelty of sitting on a doorstep on the street and eating from the box. 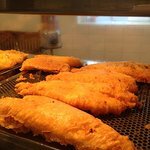 The cod bites are amazing and the best in Whitby...in fact, the best anywhere!! 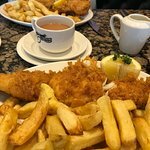 11/04/2019: Simply the best fish & chips I have ever had. Very reasonably priced and the service was very friendly and efficient. Portions were also very generous. 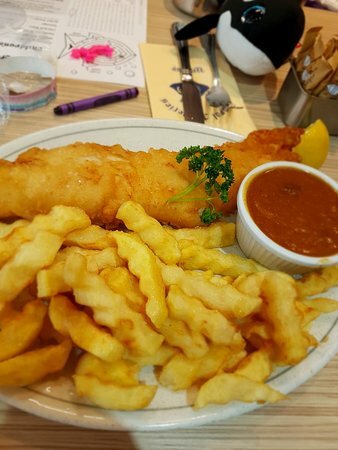 17/04/2019: As Wards was closed at 7pm, we called into Aloha for a meal after travelling most of the day, we had'nt booked but were found a table and asked if we'd like Fish'n'chips or Mexican [did'nt know same people owned both eateries?]. 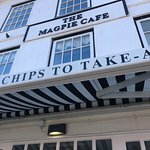 We chose Fish'n'chips, Generous portions with mushy peas & tartar sauce, we enjoyed our meals washed down with a big teapot of tea, we were left a choc mint and a lolly each after we'd paid our bill. I gave the lollies to a lady with children on the next table. The loos were nice and clean, and the staff were pleasant. 25/02/2019: Their food is fresh, delicious and cooked to order. Yes there is a little bit of a wait but it worth every minute that you are waiting; and if the wait is due to be 15 minutes they offer you a free cup of tea or coffee. 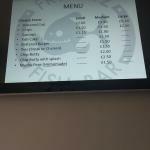 24/03/2019: We were staying at the nearby caravan site and had tried to book into the “posh” fish and chip place which was fully booked. We rolled up here and just in time for the last two fish! 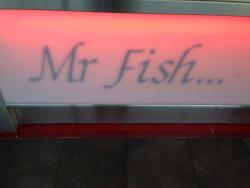 The fish and chips couldn’t have been nicer, the most beautiful thick white fish, perfectly cooked! This will in future be our first choice! Also, the staff were so friendly and there was a good bit of banter with the customers. Thank you, a good new discovery. 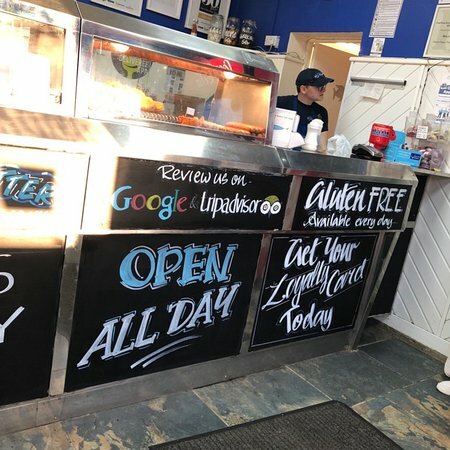 01/03/2019: This is our local chippy & when we are treating ourselves to fish & chips, this is where we go! We also recommend this to all our customers. 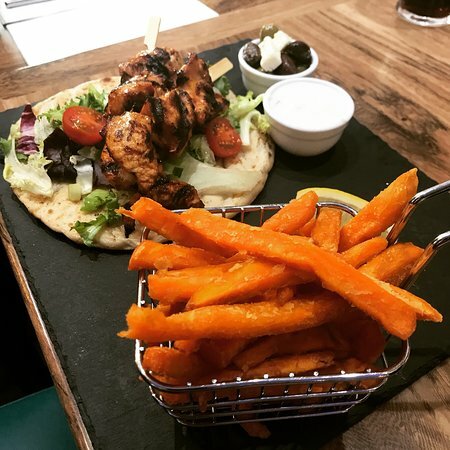 19/04/2019: We couldn’t sit in the restaurant as there were ten of us and there queue was already out the door and down the street, so we got take-away instead. Scampi were cooked fresh to order so took a very acceptable ten minutes to be ready. They were the biggest and best scampi I’ve ever eaten. A very generous portion too, though the tartare sauce was a little unremarkable. 18/04/2019: Omg the best fish I have ever had. Excellent. 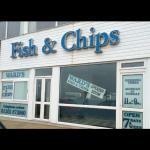 Our friends had haddock and chips they said excellent best they have had. 15/04/2019: This looks like a tiny little shack of a place down a side street, but I've never had such wonderful succulent fish and amazing batter! 19/04/2019: Had a wonderful lunch starting with an Oyster taste off. Excellent Lobster Bisque and really good seafood grill. Service by all 4 waiting staff was excellent, but Eleanor stands out for her warmth and friendliness. This was a second visit and definitely won't be the last. 14/04/2019: Sunday evening Dinner restaurant very quiet, service good although waiter acted as more like a hard sell salesman. Food was average we had salmon and mussels, and was quite expensive. Overall ok but nothing special, would not rush back. 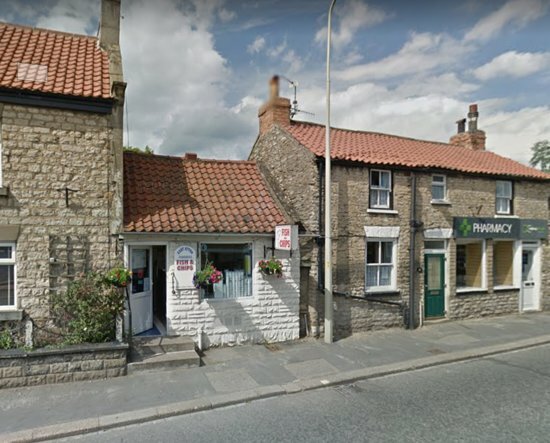 22/02/2019: Off the main road through Catterick Village. Sign posted on curbside to 'Fish & Chips'. 10/01/2019: Having been recommended to this gem many times my partner collected a takeaway for the second time . Scampi for me and he went for cod. I was blown away by the generous and beautifully cooked portion of scampi and the chips are great. Portions are not overwhelming and the meals nicely presented with recyclable wrappings. Add the mushy peas and tartare sauce provided and you are in Heaven. 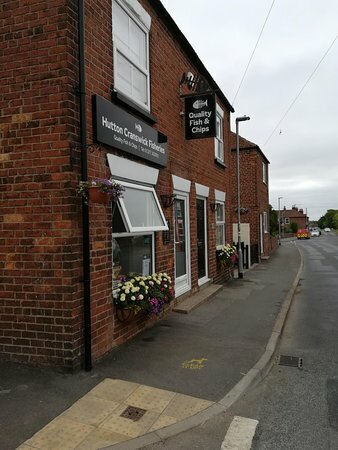 05/01/2019: Went to Hutton Cranswick chip shop last night to try somewhere different. All i can say is WOW, it was fantastic and worth the short trip. Lovely piece of flaky cod exactly how it should be. Will definitely be returning.